Seminar in Halifax, Nova Scotia in May! A6300 and Fujifilm X-Pro2 ebooks coming! Ever since Anne Geddes raised the bar on the newborn photography genre, an entire legion of people shooting newborns in this style has arisen. And this seemingly simple style of photography is considerably harder than it looks. Not only do you have fussy subjects, narrow windows in which to get the shot, uncooperative siblings (for family shots), and un-photogenic skin, but you also have extremely high expectations from your clients. Unlike traditional portrait photography, you can't always guarantee that perfect photo. I've been doing newborn photography for awhile, but for this latest session I wanted to up my game and duplicate the kind of uber-processed newborn photography fad that's sweeping the world. 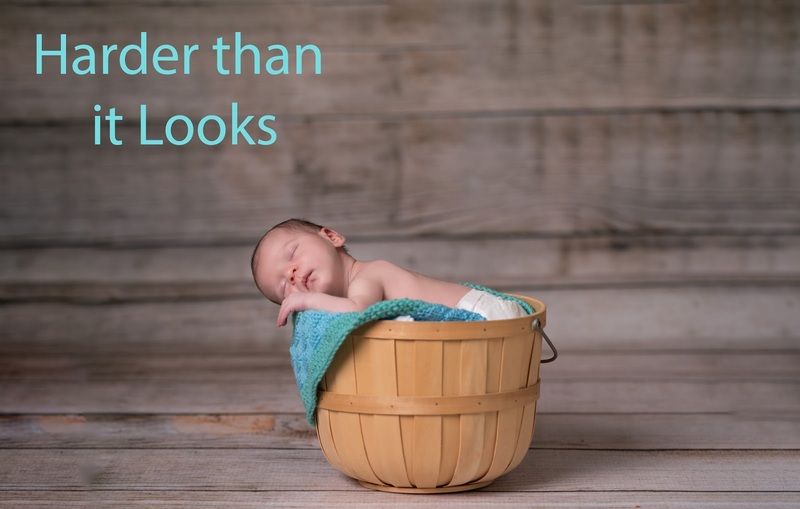 Here's what I did to address each of these classic problems of newborn photography.